Re-write your draft. This will be your final version. Don’t forget to change the essay information at the top of your first page (above your title) to “Final draft”. Print out your final draft and bring it to class next week. Read the old AW1 essay I handed out in class. These essays are not model essays to be copied. They include good and bad points. Use the checklist in the textbook p. 33. Write your comments – what do you notice about the essay (the good and the bad)? 1-to-1 conferencing. If I did not get around to talking to you in class, I will email you my comments by Sunday evening. If you do not hear from me by Sunday evening, please email me. Write your final draft for your Essay #4 (Persuasive Essay) and either email it to me, or bring it to next week’s class. “Think seriously about food self-sufficiency” is not persuasive. The author’s position is also clear. 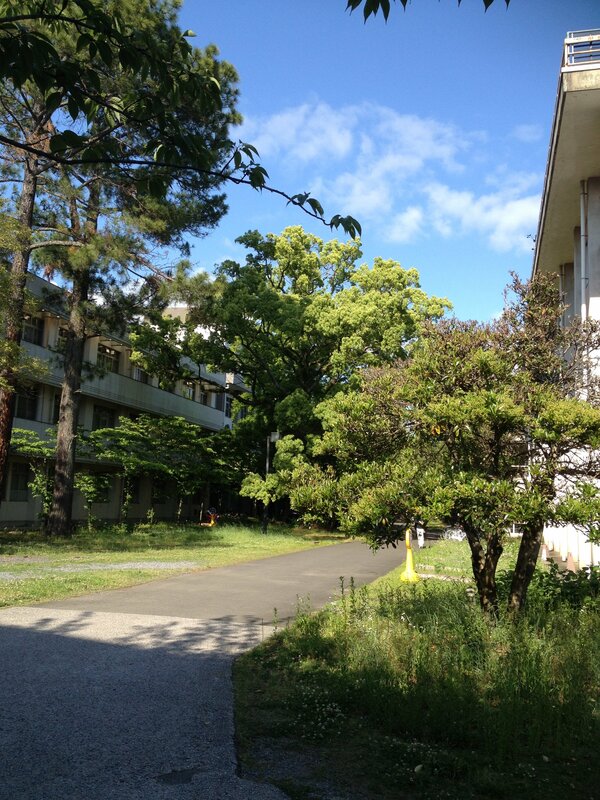 Many students’ essays are not persuasive because they are arguing from Japanese principles or Japanese values. People who do not have the same values will not be persuaded. More next week. Request for volunteers to read my simplified story and give me feedback. BONUS – you can use this material for your next essay #5 “Response to a Text”. If you volunteer, please read one of the chapters and underline or somehow mark the words or phrases or sentences you don’t understand or need to use a dictionary for. Then give me back the chapter next class. Thank you in advance. print it out and bring it to class next week. Mini-lecture on what is an argument? As a rule, don’t begin a sentence with “And” or “But”. “Because” can only begin a subordinate clause (従属節) in English, and so cannot stand alone. It must be part of a longer sentence which has a main clause (主節). E.g. p. 34 B – Title your essay and Practice 16. If you have not already done so, please email me your essay #4 ASAP (As Soon As Possible). This is already one week overdue. Give the title and reference (source, date, etc) for this article. Summarize the main points of the article. You can use direct quotes or your own words. A combination of both is often used. Is it true, i.e. is it factually correct? Is the article reliable? Why (not)? Is the article well written? Why (not)? Other (but avoid giving your opinion about the content of the article). Discuss in groups what you read or watched for homework. Today is Armistice Day in Europe. Red poppies are often worn on this day. Practice 1,p. 114, questions 2, 4 and 5 ONLY (answers on looseleaf). The newspaper front page the sums up Europe’s reaction to Trump victory. One French newspaper dubbed the President-elect ‘American Psycho’. French newspaper Liberation called Mr. Trump ‘American Psycho’ – a reference to the book and film about a murderous stockbroker. Today was the deadline for Essay 1. If you have not already done so, please email me your final essay. Obviously, replace <Family Name> with your own name. If your name is Yamada, please add your initial, as there are 3 Yamadas in this class. Read the example sentences and re-write #13, #26, #32, #46. 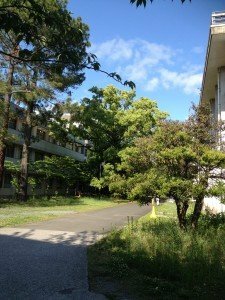 Mini-lecture: Origin of academic writing – the trivium (interestingly, there is no Japanese Wikipedia page for this entry; would you like to write one? If the original material has a definition, check it. If the original material does not have a definition, search for it yourself. What possible next steps could you take in this investigation? What other possible causes for microcephaly are there? None. If you did not hand in your essay today, email it to me today. Makeup class for May 1st will be either July 11 or 18th (both Saturdays). If you have any preference, please let me know before next Thursday. Visit www.goodreads.com. Do you know a good book-sharing online website like this? If so, please introduce it to me (in comments or by email). In groups of 4/5 read each other’s essays. Textbook p. 29 “Hooks” – read. Conventions are rules like driving on the left side of the road. Different countries/cultures have different conventions. They are neither better nor worse. There is no “correct” convention. It’s just a rule that everyone agrees to obey when they write academic English. One convention (in English academic writing) is that the main purpose or point of the essay should be clearly expressed in the first (introductory) paragraph, and developed in detail in the following paragraphs. Another convention is that the conclusion repeats the information in the introductory paragraphy and does not introduce any new information. Look again at your essay. Did you write a good hook? Does your introductory paragraphy include the thesis? Does your conclusion repeat the information in the introduction? A conclusion in English does not contain any new information (this may be different from Japanese writing conventions). Handout: which sentence does not belong in these two paragraphs? Re-arrange the sentences in this paragraph. Email me your persuasive essay as soon as possible. His/her thesis statement is (not) in the introduction. Body paragraph 2 uses __________ support. Can you think of an argument that the writer did not use? Write it here. Free writing: write about a song, play, movie, novel, picture, TV show that you like and which you have listened to, seen, watched, read, looked at or watched more than once. If you did not hand in your essay today for some reason, email it to me without delay. In groups of 4~5, students read each other’s essays . None. Today was the deadline for essay #1: problem-solution essay. If you were absent today, email me your essay today or tomorrow. Overdue essays may not receive correction or feedback.